It may be a game between two teams with a 1-1 record in the Tip 16 so far but it is also a game between two teams who have tasted considerable success in the Euroleague. This is clearly a big game between two big teams and the Russian capital is going to be one of the key destinations for European basketball fans to look out for this week. There is a big concern for CSKA Moscow with the fact that Nando De Colo picked up an injury at the weekend. The sprained ankle injury means that De Colo is a big risk for this game against the Catalan club. While there is still Milos Teodosic, there is no denying that De Colo has been one of the key players of the Euroleague season so far and any club would miss him. This means that players like Cory Higgins and Vitaly Fridzon will need to do more for their team, and there is still a good chance that the Moscow side will triumph in this one. The home crowd will settle for nothing less. Barcelona will no doubt look towards Juan Carlos Navarro to pull the strings in this one but they have a roster of players who can perform at the highest level. Ante Tomic has been huge for Barcelona this season while Justin Doellman and Samardo Samuels have also been big players this season so far. It will be a difficult task in Moscow, CSKA are always difficult opponents away from home but after a strong start, Barcelona have been off the boil of late. This game could provide the Catalan club with the ideal opportunity to get moving in a positive manner once again. 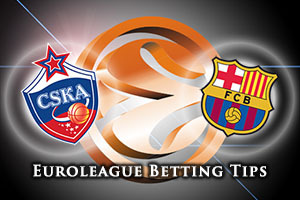 CSKA Moscow are the team being backed by the bookies in this one and it is easy to see why you would take CSKA at home. 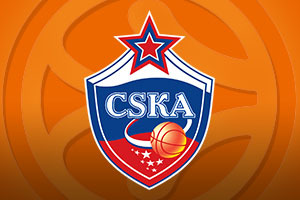 You can back CSKA Moscow at -7.5 at odds of 1.90 for this game. If you are looking towards the Over/Under market, look to go UNDER 165.5 at odds of 1.90. Bet Now!